The very first time she stepped up to a putt, Madi Montgomery learned an important lesson. Perhaps it was the practice of pushing herself a little harder that helped Madi to create a movement in her school to combat bullying and to spread kindness. As a middle school student in Oregon, Madi began to see her peers and those close to her, specifically girls, become victims of bullying. After watching a documentary, she saw the need to find and spread kindness amongst her peers. Rather than holding back, Madi – then just 12 years old – took a chance. With the help of her mom, Madi started an initiative to spread a kindness revolution in her community. Continue to Find Kindness (CTFK) is an anti-bullying organization created by Madi in 2012. The mission of CFTK is to educate young girls on resolving bullying, recognizing bullying and revolutionizing kindness. “I believe that kindness is magic, but continuing kindness is a revolution,” Madi says on the CFTK website. As Madi entered high school, golf became a bigger part of her life. She recognized the game as another way to stay active and to meet new people. Madi made the varsity team as a freshman and joined Youth on Course through Oregon Junior Golf. 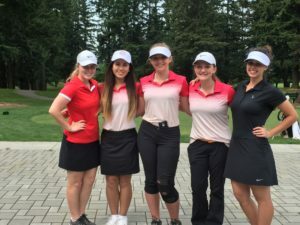 Madi became more familiar with Youth on Course by playing her team’s home course, Stonecreek Golf Course, a participating Youth on Course facility. Golf turned out to be a great way to continue to spread her message about kindness with other girls her age. 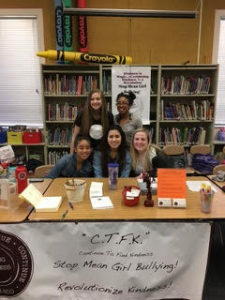 Today, CTFK is still run by Madi, as well as two adults and an eight-member student board – several of whom are Youth on Course members thanks to Madi. The group meets two times a month and plans presentations, prepare for speaking events, volunteer opportunities and various events that help spread their message in the community. Remembering her father’s old putting advice about giving yourself a chance, Madi continues to push the group forward to big things. Madi dreams of seeing CTFK as a nationwide initiative, and just like she did with her putts, she is currently pushing hard to make it a reality. CTFK recently registered their logo and is in the process of becoming an officially recognized nonprofit organization. As she heads off to college next year, Madi hopes to gain the tools to develop a certified conflict protocol program for schools that would help teachers and administrators address social conflicts among students, especially through social media. “I will continue to strive to inspire young girls to continue kindness in their school and community,” Madi said confidently. Madi will most definitely change the world with her message, and she will probably play some golf along the way too.